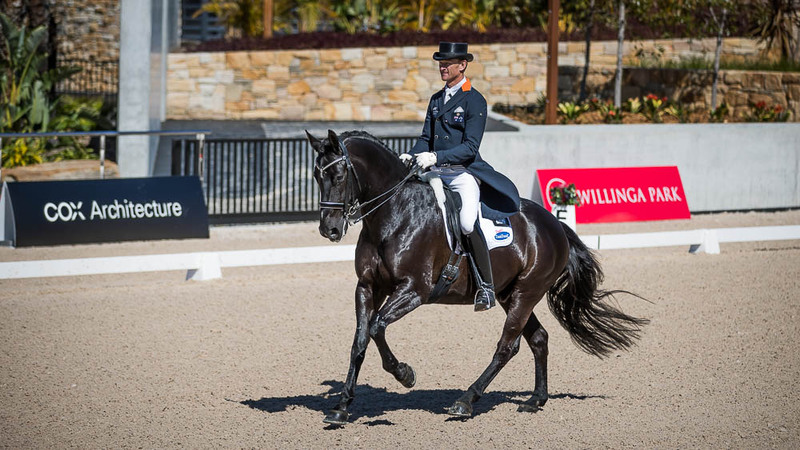 Current Australian Grand Prix Dressage Champion Brett Parbery will partner with Willinga Park, to create an unparalleled cross-discipline high performance hub. Parbery will be relocating to Willinga Park, which is situated on the South Coast of New South Wales. The equestrian centre has been developed by Canberra Airport owner, Terry Snow. It has won several prestigious architectural awards, with further development ongoing. In addition to extensive facilities for the Olympic disciplines, Willinga Park also hosts an impressive Australian Stock Horse breeding and training program. Growing up in regional NSW, Parbery’s early riding included campdrafting, polocrosse and even rodeo. Now, with many Australian Dressage Championship titles and a top-ten World Equestrian Games result under his belt, he brings to the partnership not only his dressage expertise, but vast experience working with Australian Stock Horses, and a wide network of connections through the international equestrian community. “Mr Parbery is ideally suited to the Willinga Park philosophy. He is a formidable horseman and rider, with the ability and the smarts to take Australian dressage to the podium,” Mr Snow said. Mr Parbery will initially move 11 horses and his staff to their new coastal home, including Olympic short-listed DP Weltmeiser (owned by Susie Duddy) and Grand Prix gelding Zeppelin (part owned by Helen Batson). The horses will benefit from the state-of-the-art facilities including premium surfaces on multiple arenas. “The facilities at Willinga Park are second to none, worldwide,” Mr Parbery said. Willinga Park is currently undertaking additions to the facility, with several enhancements for the benefit of Brett’s existing clients. This includes a chilled-water treadmill with the latest technology, and an equine solarium, which will be used in conjunction with the existing 30-metre hydrotherapy heated pool and six-horse walker. Also planned is an Education Centre, complete with conferencing facilities, lecture hall, and big screens with inter-connectivity across the park. Willinga is also planning a second showjumping field and the acclaimed cross country course designer, Mike Etherington Smith, shall return mid-2018 to progress the planning of a cross-country course. 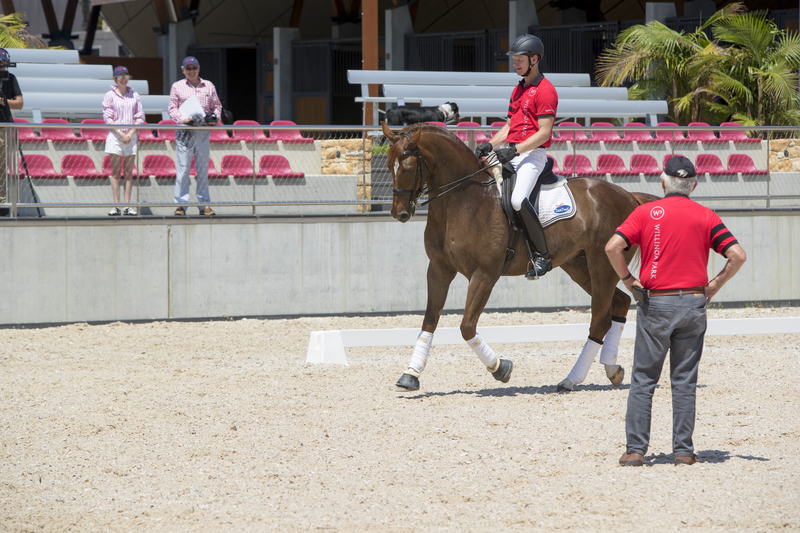 In addition, the partnership will be seeking talented horses for inclusion into the program, that will further boost Australia’s dressage ranks. “This partnership will not only enable me to grow professionally and to further develop my riding, but will greatly contribute to the ongoing success of Australian dressage on an international stage,” Mr Parbery said. Willinga Park also recently welcomed Hazel Shannon and equine partner Clifford to the Willinga Park team. Winners of the 2016 Australian International Three-Day Event in Adelaide, Hazel is an up-and-coming superstar in the Eventing discipline. Hazel and Clifford shall remain based at the Ryan’s property near Newcastle, under the professional guidance of Heath and Rozzie Ryan. Having already hosted a CDI** event, and with a conference center, accommodation and digital connectivity on the horizon, Willinga Park will be well placed to run further elite-level events. In May 2018, the venue will attract top Australian and American riders to the World Championship Gold Buckle Campdraft event, with prizemoney more than $200,000.